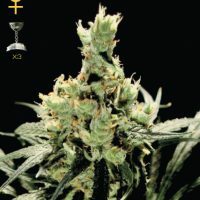 Discount Northern Lights female seeds produce a Short sized cannabis plant with a High (15-20%) THC content, Photoperiod genetics and a flowering time of 7-8 weeks. 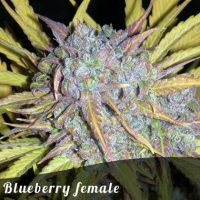 Northern Lights female seeds has a genetic makeup of Afghani Landrace and has an effect described by the breeder as ‘Very strong stoned effect’. 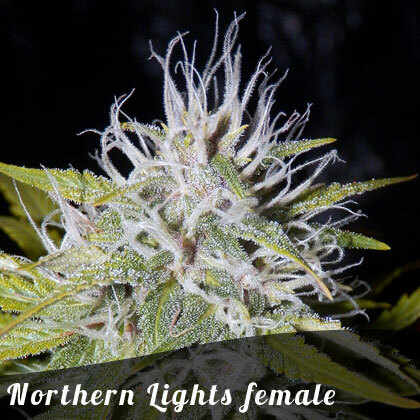 Buy Discount Northern Lights female seeds at the lowest price online now! Northern Lights is right up there with the most famous cannabis strains of all time. 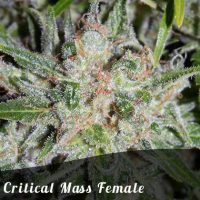 She is a pure indica strain revered for its resin covered buds, fast flowering times, and its resistance to pests and mould. ‘Northern lights’ descends from an Afghani landrace strain and has been used to create many more strains of marijuana. Some say that Northern Lights was first grown near Seattle, USA, but was then acquired and refined by the Sensi Seedbank in Holland. Northern Lights will grow to around 1.2 m in height indoors but outdoors can reach as much as 2m. The internode spacing is quite wide and she produces long thing leaves of a wonderful emerald colour. Northern lights has Afghani heritage so will produce solid, stocky plants with a solid main cola and numerous rock hard buds. Indoors you can expect yields of around 50g per plant or approx. 500g per m2. 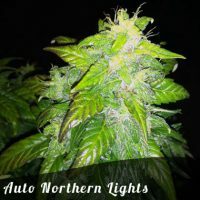 When grown outdoors in a warm sunny environment, northern lights can turn into a huge tree which will be covered in resinous buds and will produce massive yields. The average flowering time for Northern Lights is 8 weeks but some plants will be finished in as little as 7 weeks. Northern Lights has a Pungent, spicy aroma which radiates from its crystal-covered buds which will sometimes turn purple, especially in cooler temperatures. The smooth smoke gives an initial psychoactive effect which mellows to a comfortable body stone. 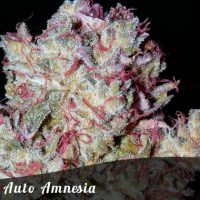 This indica classic offers pain relief and aids sleep while helping with anxiety and depression. 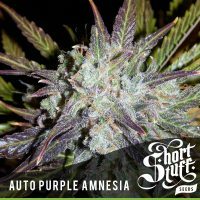 Another classic strain which has been around for decades and is still a best seller today.